Welcome to the Yosemite Peaches Project. 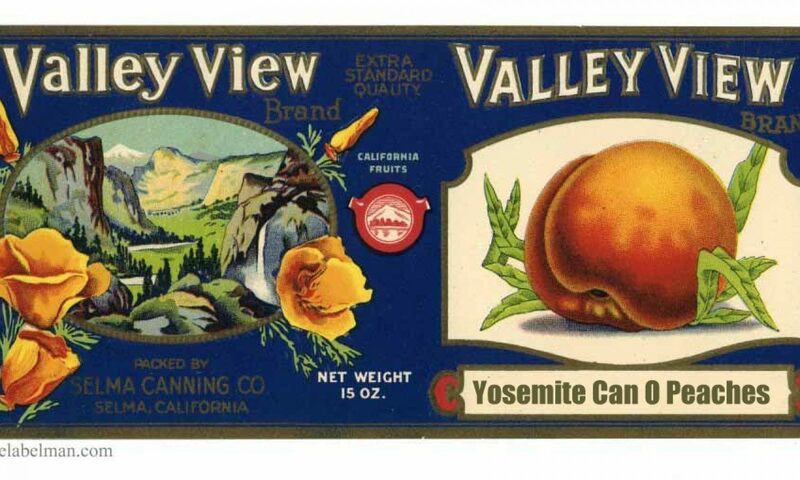 Yosemite Can O Peaches is the title of a Radio Podcast and Blog by John P. DeGrazio. The Yosemite Peaches Project was created in 2017 as a way to document stories of contemporary artists, musicians, athletes, and every day explorers in Yosemite National Park because everyone has a story to tell. My goal is to meet with individuals to give a voice to each story in a recorded interview as they explain the profound effect Yosemite had on their life. The peaches represent the rewards of their journey. Join me as I explore the trails of Yosemite with local experts as we share our can o peaches and the sweet rewards of Yosemite National Park. I support local radio by donating this show to KAAD-LP 103.5 FM Sonora, CA on the first and third Saturday of most months. You too can support this show and local radio by becoming a sponsor. Please visit the Can O Peaches Sponsorship Page for benefits of sponsorship details. John DeGrazio hosts The Yosemite Can O Peaches radio show on air and streaming live at KAAD-LP 103.5 FM Sonora, CA. The Yosemite Can O Peaches Radio Show Premiered On Sunday March 19, 2017. John interviewed Mariposa Symphony Orchestra Founder and Conductor, Les Marsden in Yosemite Valley below Yosemite Falls for a special one hour introductory show. The Yosemite Can O Peaches is now on iTunes, Google Play, iHeartRadio, and Stitcher. Shelton Johnson is one of Yosemite’s preeminent ambassadors. He welcomes visitors to the park on a daily basis and treats each one with kindness and warmth. Best known for his role in “National Parks: America’s Best Idea”, a documentary film by Ken Burns and Dayton Duncan, Shelton invites visitors of public lands to connect fully with nature and wilderness. His mission is to encourage more people of color to claim their cultural inheritance in national parks. Because everyone in Yosemite has a story to tell, I invite you to share yours in Yosemite National Park with a Can O Peaches. I had my first can o peaches on the summit of Mt. Rainier with Adventure Buddy Ed Chao back in 1997. After I asked a local woman at a Sea-Tac information kiosk for one piece of advice about the climb, her reply was simple. “Go buy yourself a can o peaches. It’s the sweetest reward you’ll ever taste on top of a mountain.” She was speaking from experience. A few days later, Ed and I found ourselves on the summit of Mt. Rainier with our own can o peaches giving thanks to this kind woman for her sage advice. For years, I told that story before learning the true meaning of the peaches. Today, I realize that regardless of reaching any summit, the adventure is the can o peaches. Exploring nature and discovering its beauty while achieving self growth is the true reward. The peaches symbolize those sweet rewards, and they taste even sweeter when shared. I invite you to enjoy this site as I share sweet stories from the trails Yosemite National Park with adventurous souls on my Yosemite Can O Peaches Blog and Radio Show.